Y-shaped sync cord with Ikelite-style plugs on strobe ends and Nikonos-style plug on the housing end. Provides manual strobe operation with any compatible system featuring a Nikonos-style N5 TTL bulkhead and Ikelite strobe. 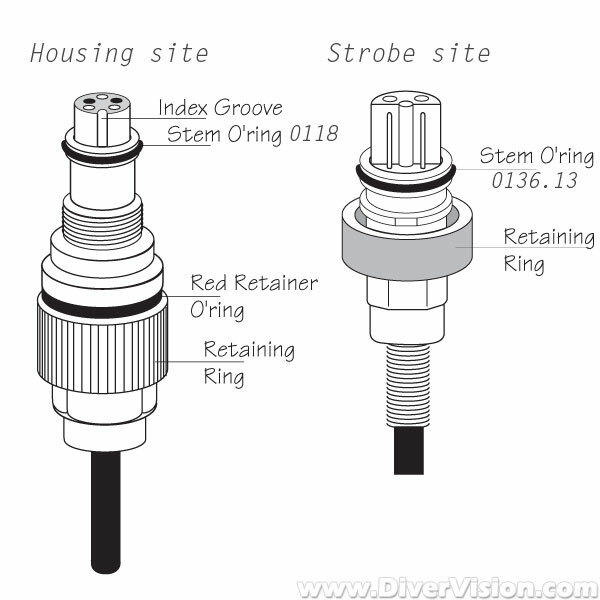 The Ikelite-style plug is widely recognized as the most reliable waterproof strobe sync connection available. Built-in strain reliefs reduce stress on cord ends. 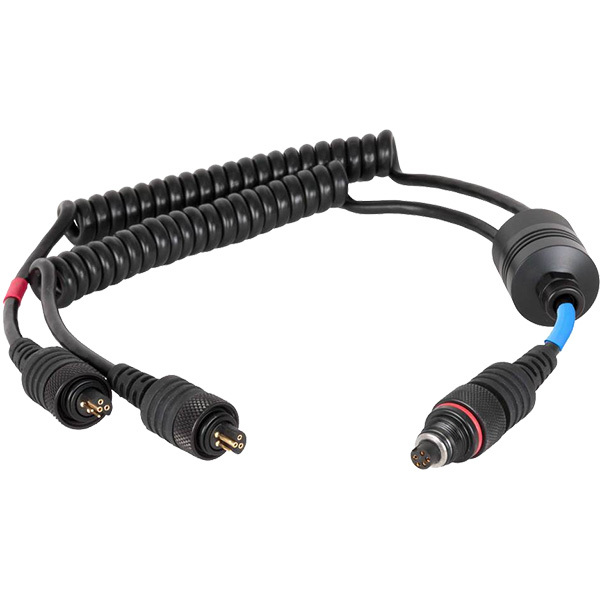 This cord is compatible with all Nikonos, film SLR, and digital DSLR cameras. * It is the recommended dual cord for Nikon DSLR housings with compatible Nikonos N5 bulkheads from Aquatica, Nauticam, SEA&SEA, Isotta, Subal, Seacam, and others. This cord requires the attachment of two strobes for waterproof operation. To shoot with only one strobe, use single sync cord # 45231 instead.